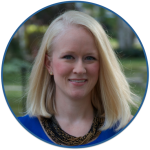 reading strategies | Kristen Dembroski, Ph.D. I had the honor of attending the annual WSRA convention for my 5th year. If you’d like to refer back to any of my previous WSRA posts, here they are! I look forward to this very well-organized, professional event year after year because of the amazing, nationally-known speakers that are featured as well as the careful cultivation of trending topics and research in education and literacy. Oh, and all the great friends I get to meet up with year after year! 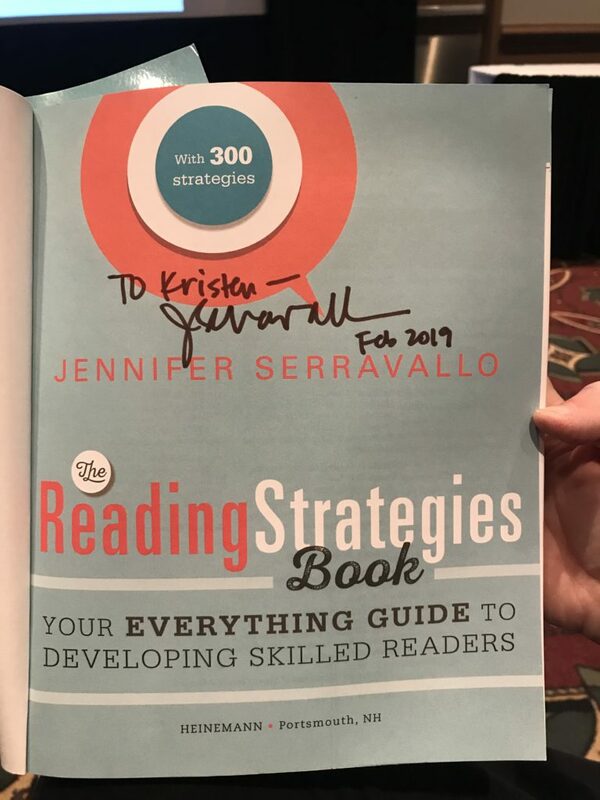 The first session I attended was offered by Jennifer Serravallo and focused on Conferring. I was very interested to attend this session to enhance my ability to support the educators in my district as we continue to refine our literacy workshop model and our work with Teacher’s College. 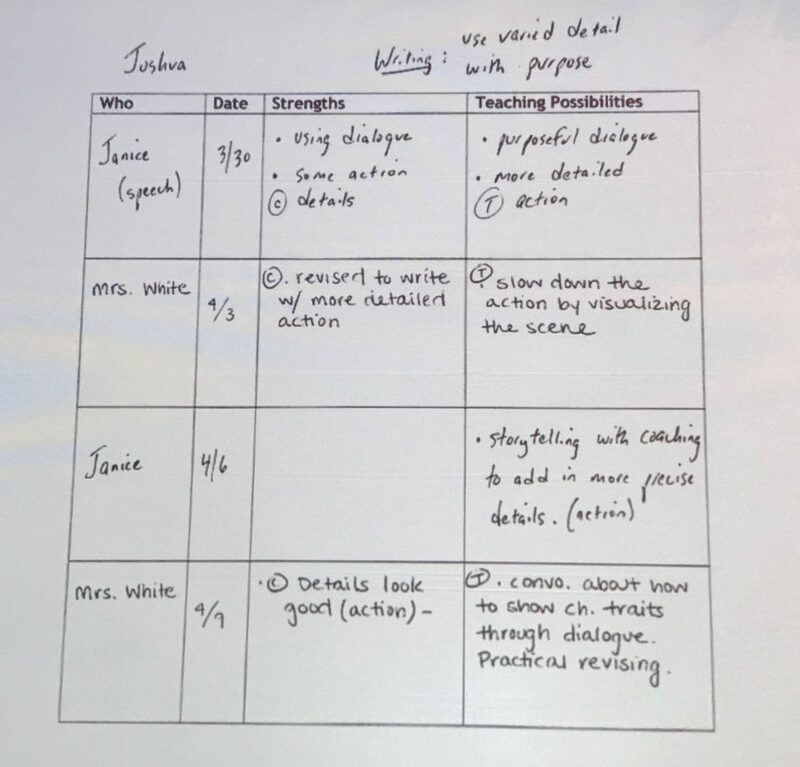 After making a strong case for conferring with students (which has a high impact on learning through providing individual feedback, building student teacher relationships, and goal-setting opportunities), Serravallo helped us delve into the steps for establishing a conferring culture in your classroom. 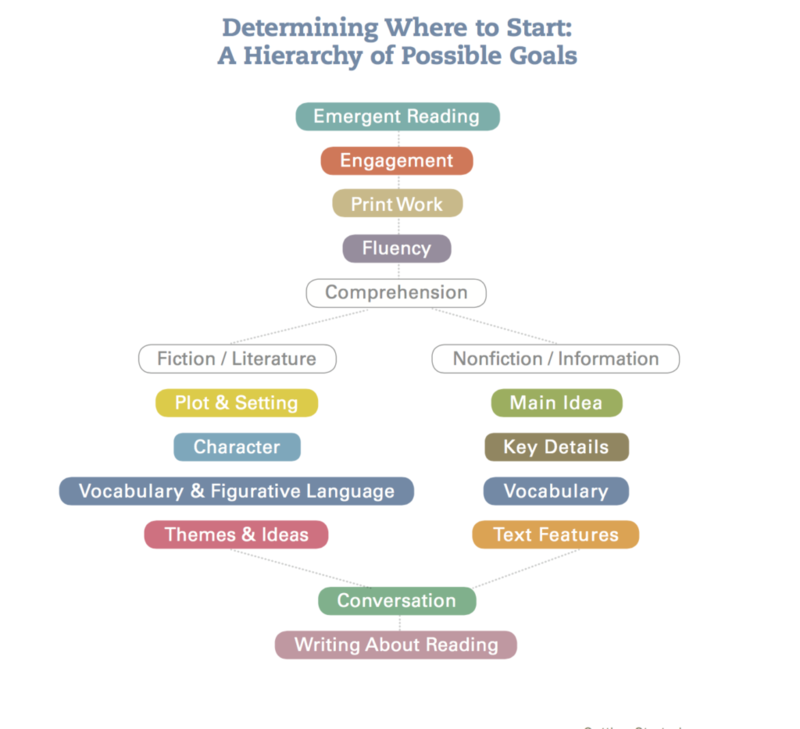 Begin by consulting the “Hierarchy of reading goals” (below). Face-to-face with a student and his/her book bin, work your way down the list with a student, interview style, until you determine where the student needs the most support. Stop at the first level where you notice a need for instruction. 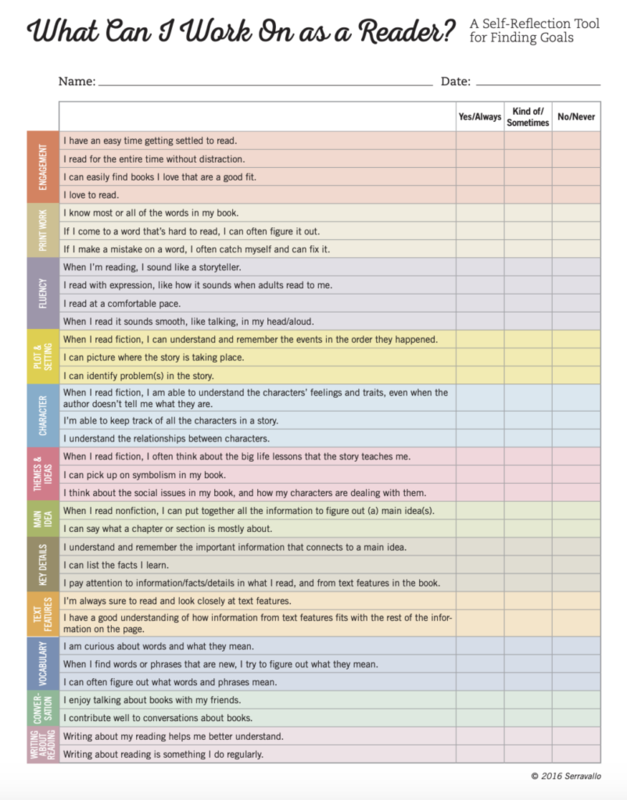 There are several other assessment sources you can reference to set a goal for a student. For engagement: Is the student excited, passionate, and overall engaged with their texts? Observe them during independent reading – what is their time on task? Stamina? For fluency: Take an informal running record and note miscues, rate, inflection, etc. For genre-specific skills, consult the learning progressions of your instruction / curriculum. Additionally, invite students to fill out this form below, which allows them to reflect and self-report on areas they believe they need to advance. 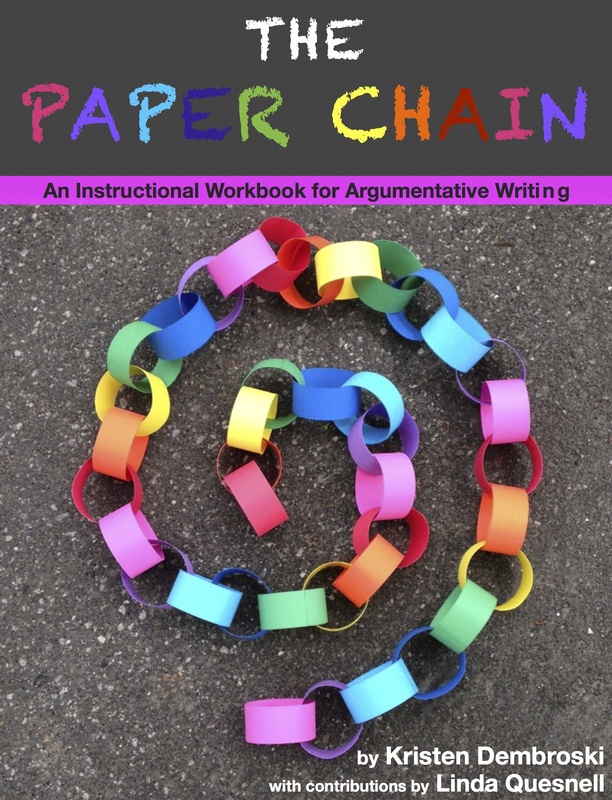 Link – Leave the student with a visual, physical reminder (artifact) of the goal and strategy). This could be a sticky note, copy of an anchor chart, model, graphic organizer, etc. What do you think you’re doing well as a reader? What do you think you might need to work on? What do you notice about your work? Can you think fo ways that I can help you grow as a reader? Look at __ compare it to what you’re doing as a reader. Provide “Helpful Compliments” – Notice and name what they are doing. Focus on effort, not ability. Step 3: Identify and name the students’ strengths. Resist the urge to focus on deficits! Often, students aren’t even aware of their strengths until we point them out for them. Naming their strengths and skills helps build them up! For example, consider the skill of “adopting new vocabulary” and how students progress through the list below as they master a new word. They don’t jump from “not knowing” to “master” in one fell swoop; it’s a progression! Resist the urge to jump straight to the grade level goal or standard. Research: Ask questions, have student read aloud, look at artifacts, etc. Develop a strong system of note-taking and management. Group students with similar needs to create strategy groups. Jennifer Serravallo explains that she meets with every student in her class face to face at least twice a week, either through individual conferring and/or strategy groups. This is a great goal! 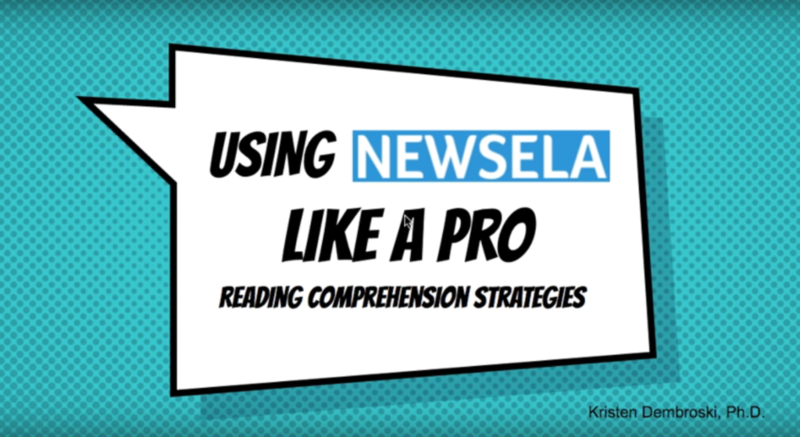 This tutorial will show you how to use Newsela to target reading strategies through text annotation, writing prompts, guided text reading, reading with a purpose, and text sets.